It's been a busy time for Leeds-based record label New Jazz Records. Run by composer and trumpeter James Hamilton, the label recently released Jamil Sheriff's debut trio albums Places Like This. Now, they are gearing up to launch two more albums at a special launch gig at HEART in Headingley on December 6th. March is the second album double bassist Sam Jackson has released on the label. His group Drawing Hands have released a suite of 12 new pieces and will perform some of this new material at the gig. 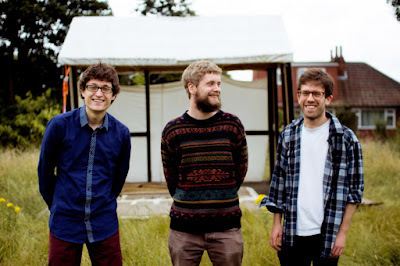 Treppenwitz is a trio formed by pianist Matt Aplin, double bassist Tom Riviere and drummer Steve Hanley. Their album, Short and Long Ditties, is the first in a two part release of material recorded at Leeds Fold last year. The albums will both be launched with live performances at HEART on December 6th. Doors at 7.30 and there's music from 8pm. Tickets are an absolute steal at £5/3 for two great bands. To find out about these releases and to keep up to date with future releases from the label, visit the New Jazz Records website.